My first whip by Victor Tella, a 16plt, 3ft snakewhip made from black and natural tan roohide. A perfectly balanced and very elegant little whip. 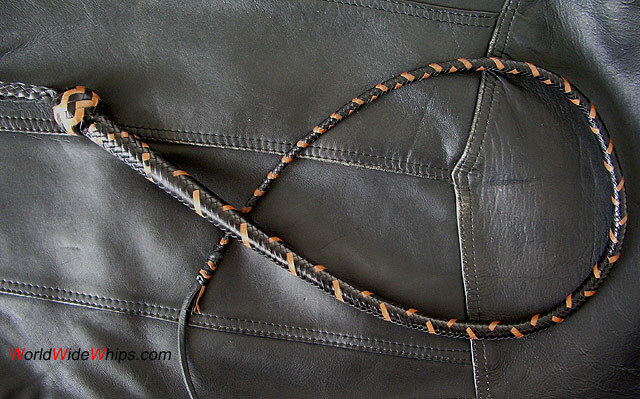 Just two of the braided strands are of natural tan color, creating a nice reptile-like pattern.